The pace of Russian actions in Syria is breathtaking. Every day dozens of sorties are flown. Russia constantly increases the number of aircrafts deployed to Syria. IHS Jane counted four SU-30SM multirole combat aircraft, 12 SU-25 frogfoot ground attack aircraft, 12 SU-24M Fencer attack fighters, and six KA-52 attack helicopters (another reports mentions Mi-24 and Mi-17 helicopters). The planes are protected by at least three SA-22 anti-aircraft systems and Pchela-1T drones who constantly fly reconnaissance missions. Russian troops are stationed at the Istamo weapons storage complex and the Al-Sanobar military complex, both north of the Latakia base. Members of IS (Islamic State) reportedly already tried to mount an attack on the airbase, but they were ambushed and killed or captured. The ambushed militants had a detailed plan of the air base and clear satellite images marked with key military installations (according to Russian sources jihadist fighters until now managed to avoid attacks from government forces because NATO provided satellite information to them). Russia has further deployed T-90 tanks, BTR-82A/B wheeled armored-fighting vehicles with 30 mm cannon turrets, and new artillery weapons, (reportedly 152 millimeter systems). Russia equipped a newly formed armored brigade of Hezbollah with 76 T-72 and T-55 tanks. In the last days the Russian Air Force made their presence felt as they carried out powerful airstrikes against an IS command center in Al-Quraytayn and an IS convoy attempting to make their way to the Teefor-Palmyra Highway. The IS capital Raqqa and surrounding areas were hit at least 26 times, including the Tabaqa Airport and Tabaqa National Hospital, which IS has converted to its primary military base and headquarters. In Al-Tabqa an IS training camp and an arms depot were destroyed with KAB-500 laser-guided bombs. Many terrorists have been forced to flee to safer quarters outside Syria. Tribesmen reported that convoys of IS fighters and their families are leaving the cities of Al-Mayadeen and AbuKamaal to reach the nearby Iraqi province of Al-‘Anbar after Russian air strikes hit targets along the Deir Ezzor-Raqqa International Highway and the Al-Mayadeen-Deir Ezzor Road. In Idlib province a jihadist training center and a workshop producing suicide belts were hit, several depots with ammunitions and arms were eliminated with KAB-500 bombs. 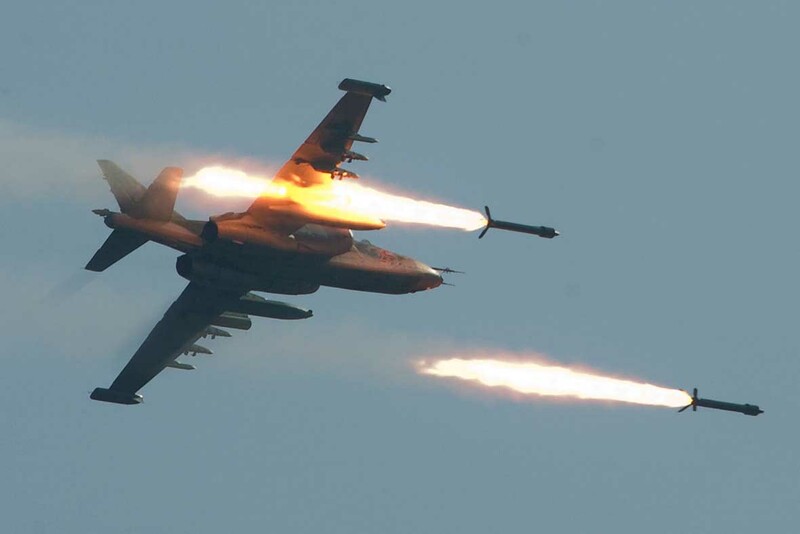 Until now at least four command centers of IS have been destroyed with BETAB-500 bunker-busting air bombs. According to military sources IS fighters are in a state of panic and more than 600 have deserted. The Kremlin initially wanted to keep the increased military presence and new soldiers and equipment out of the limelight because 1. The Islamic terror gangs and their Western funders should not have been able to gather military information via press reports, 2. The risks of this mission are high and in the case of failure the Russian media should have been able to plausibly downplay the increased military efforts. The US administration is divided on this issue. 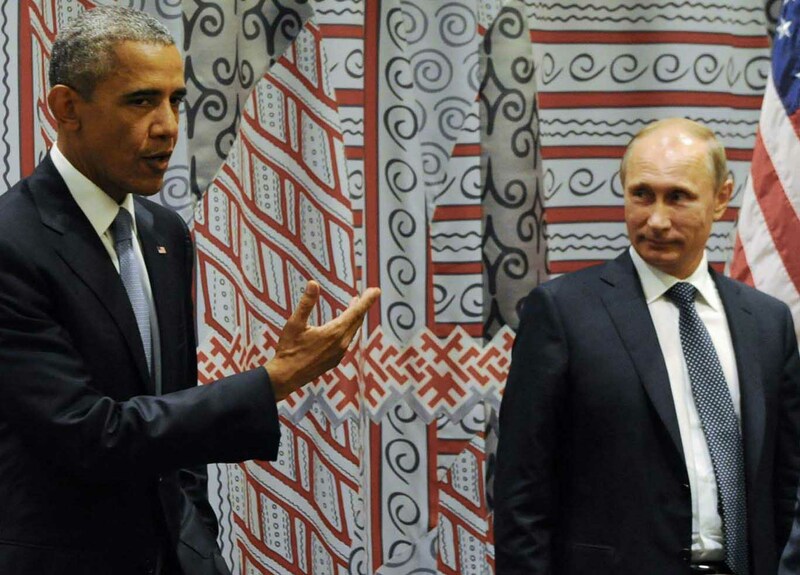 A few sane minds, including President Obama, are to some extent afraid of the Islamic terror gangs, trying to ease tensions with Russia, and tacitly approving Russia’s actions against the Islamic insurgents. The removal of Patriot missiles from Turkeys border with Syria was arranged by this group. The neocon faction, (Ashton B. Carter, Susan Rice, Victoria Nuland, Samantha Powers, and others) tries to hinder any efficient steps against the Islamic terrorists and they ordered Bulgaria and Greek to deny Russian cargo planes passage. Bulgaria obliged and Russia therefore has to use the Iran/Iraq route. President Obama is said to have been infuriated because the request to Bulgaria and Greece was made without his knowledge. Obama also has hinted that he will not do anything against the Russian efforts. A blatant lie because the rockets only had a range of two kilometers and couldn’t have come from army-controlled areas. The UN inspectors never accused Syria of the nerve gas attacks. “… It is hypocritical and irresponsible to make declarations about the threat of terrorism and at the same time turn a blind eye to the channels used to finance and support terrorists, including revenues from drug trafficking, the illegal oil trade and the arms trade. “It is equally irresponsible to manipulate extremist groups and use them to achieve your political goals, hoping that later you’ll find a way to get rid of them or somehow eliminate them. One couldn’t say it better and the global public agreed — even the readers of the New York Daily News preferred Putin’s speech to Obamas 94 to 6 percent. No wonder that with an approval rating of 89 percent in his home country, Putin is probably the world’s most popular leader. 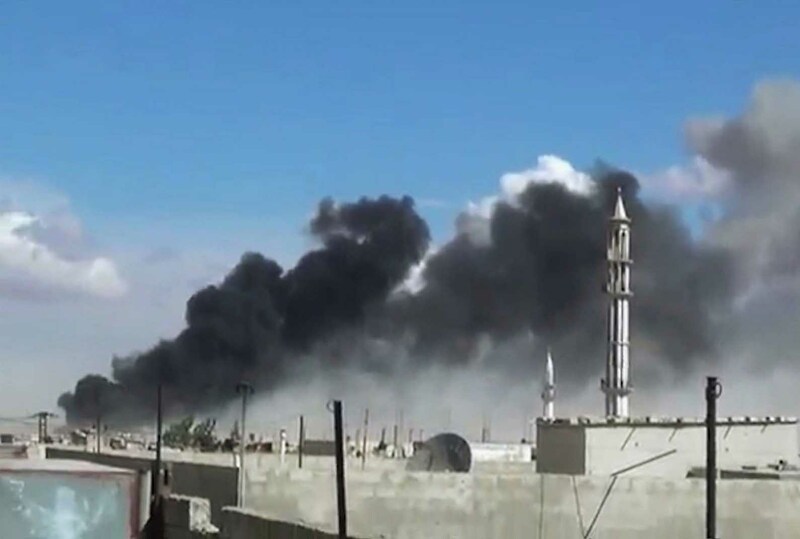 US and European media are asserting that Russian jets are not really targeting IS (Islamic State), but instead the good guys from Jabhat al-Nusra (al-Qaeda) and Ahrar al-Scham, who want to relieve Syria from the horror’s of butcher Assad. These (moderate) Islamic terrorists are now admittedly supported by the CIA. There is no limit to the hypocrisy of Western media, which decries Russian airstrikes and cites reports of civilian casualties, dutifully provided by SOHR (Syrian Observatory for Human Rights), while belittling the US attack on a hospital in Kunduz, Afghanistan, and the slaughter of at least 22 people as collateral damage. 12 doctors and nurses from MSF (Doctors Without Borders/Médecins Sans Frontières) were killed. The hospital was well known to US forces, the bombing continued despite desperate calls of MSF to US officers. This is not an accident, this is a warcrime and should be referred to the ICC. The reports about civilian casualties from Russian airstrikes in Syria included the photo of a bleeding girl posted on Twitter and the claim that air strikes in Homs killed 33 civilians, including 3 children and a White Helmets volunteer. But the girl shown was wounded on September 25, five days before the air campaign began. The White Helmets organization (formerly called the Syria Civil Defense) is Western funded, supports various terrorist organizations, and according to video evidence has helped with conducting executions and deposing corpses of executed army soldiers. In contrast to the frantic search for civilian casualties in Syria, the tragic death of 140 people, who were killed in an air strike by Saudi Arabia while celebrating at a wedding party in Yemen’s Red Sea coast, was barely mentioned. It seems that Western journalists are pushing to the limit, trying to find out how much falsehood their readers and viewers can bear. This will not endear them to a significant part of the audience, because lucid and intelligent people don’t want to be treated like idiots. We will find out soon, if Russia gets trapped, because the timeframe of the mission is limited to four months. For now it looks that Western strategists and propagandists are trapped in their web of lies after their bluff of fighting IS while clandestinely supporting it has been called.